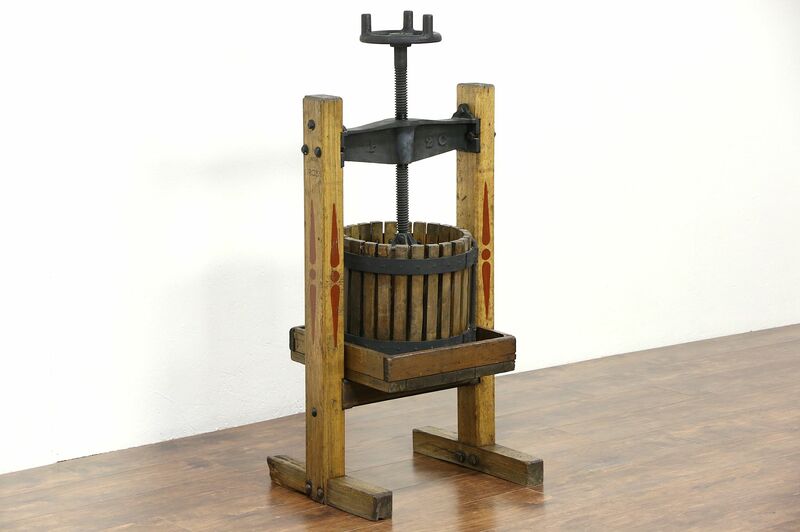 A wine, cider or fruit juice press from about 1900 is signed, "Red Cross, Bluffton, Indiana," and makes a fascinating wine cellar accessory. The original stenciling and finish are well worn and there are losses at the edges for antique character, see photos. Cast iron mounts are original. The giant screw and wheel are rusted in place and will not turn, so this press cannot be used. Size is 22" wide, 18" deep and 47" tall.